This is a bit of a cop out post. Alex and I started this blog with the intention of doing weekly crafts and projects, which we would photograph and share with you guys. We’ve been horrible at it so far – and most of our do-it-yourself ideas either never get done, or we forget to take pictures!! These are four crafts/projects we’ve actually made in the last few months – most of them as gifts for people – which we were silly enough not to document. All of these photos are stolen off Pinterest. We promise to try to be better at this!!!! This project is ridiculously straight forward – fill the bottom of the receptacle with rocks or earth (or both) and put your decorations and air ferns inside. Check with the person you buy the air ferns from on what they recommend in terms of plant care. 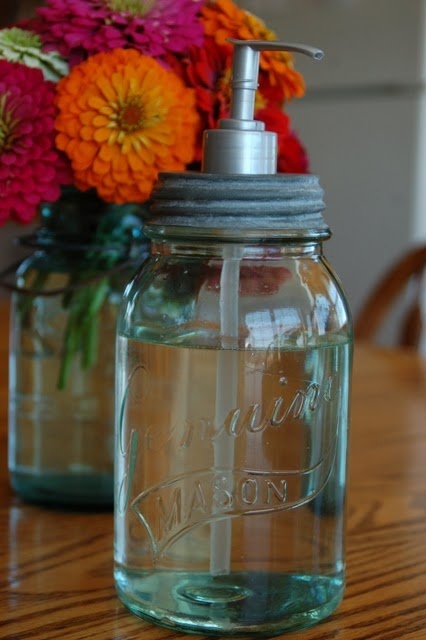 Easy peezy – Just drill or hammer a hole through the flat part of the mason jar lid, just large enough for the pump to fit through, then, fill the mason jar with liquid hand soap/dish detergent/etc., and screw the flat lid on with the pump in it! Done! This can literally be as easy as putting some melted coconut oil (or olive oil) in a mason jar and pouring sugar in until it becomes like a paste. You can add in essential oils to make it smell delicious – but when you’re using coconut oil, it already kind of does! Use it in the shower to scrub off all your dry, dead, Winter skin. This one may be a little out of season – but you can actually make really pretty glittery snow globes that don’t necessarily need to be Christmas-y. Fill your jar with half water/half glycerin. 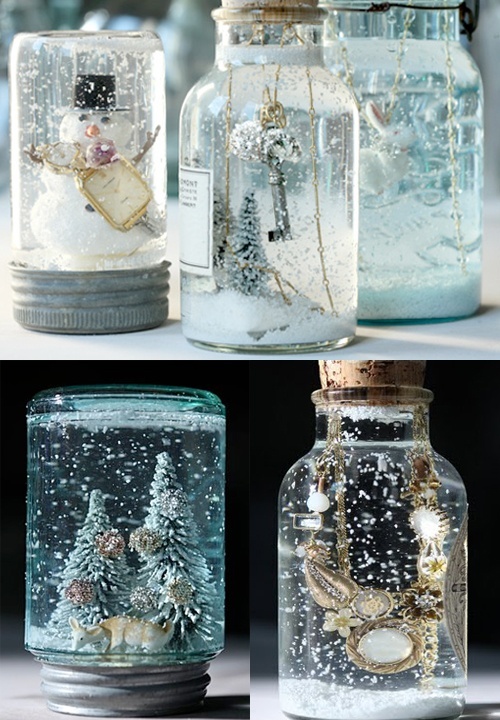 Put some glitter or sequins or fake snow in, and glue your little figuring friends to the inside of the flat part of the mason jar top. Put the lid on, and screw it on tight. Now shake it all up! Everytime I make a DIY post, I get so excited that I forget to take Before and During pictures too. Documenting is something I definitely need to work on . Can wait to see what you come up with for your next DIYs. I love your blog! 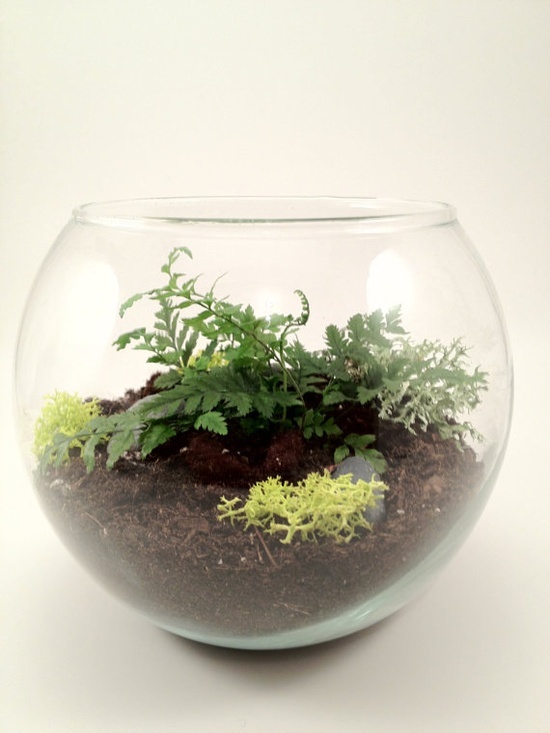 Good lord, I think i NEED the the Terrarium in my life right now! 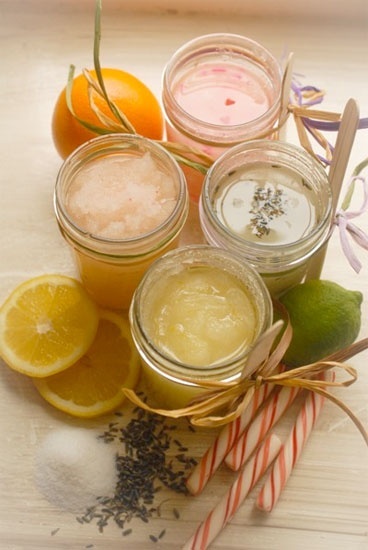 And the sugar scrub… I think I know what I’ll be doing with my day off!